Debrecen is the second largest city in Hungary with a population just over 200,000. With its Art Nouveau architectural style and heritage buildings it is considered one of the most important cultural centres for Hungarians. Top tourist attractions include the Reformed Great Church of Debrecen, the Déri Museum and the MODEM centre for Modern and Contemporary Arts. 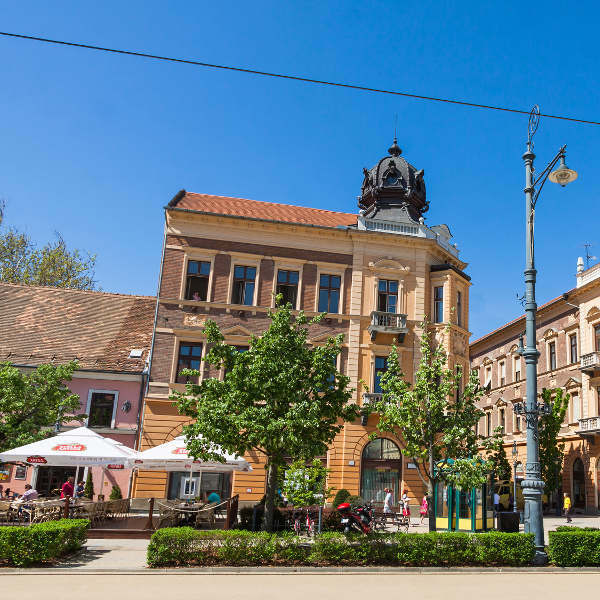 Cheap flights to Debrecen are now available for a limited period of time, so get ready to be thrilled by the art, festivals and nightlife this town has to offer! Debrecen is home to Debrecen International Airport (DEB) which is located just 10 minutes from the city centre. Take in the majestic view of Debrecen’s Great Reformed Church and the beautiful Ravatalozó cemetery that proudly showcases the city’s history with Art Nouveau architecture. Déri Museum and a variety of annual events, such as the Debrecen Flower Carnival and the Wine and Jazz Festival, share the wealth of art and culture the city possesses. Discover the taste of Debrecen at Hungarian-style steak houses, trendy restaurants serving traditional meals and bakeries filled with hypnotic aromas that line the streets of Kossuth Square. With its warm and temperate climate, the vibrant city of Debrecen has exciting events lined up throughout the year. The spring season, between March and May, is one of the best times to explore the city and perhaps catch up with the latest creations and trends at the annual Debrecen Spring Festival and Art Exhibition. If you are around in the warm summer months between June and early September, be sure to whip out your dancing shoes and join the locals partying it up at the annual Campus Festival. In August, the Debrecen Wine and Jazz Festival will seduce your senses with good wine and the sounds of soulful jazz. There is no shortage of activities or discoveries to be made in this unique city! Debrecen is a city of hidden treasures where pleasing discoveries await the curious traveller. As the second largest city in Hungary, it boasts a multitude of Art Nouveau architectural style buildings to explore. These include the Great Reformed Church and the Ravatalozó cemetery. Hungarians consider Debrecen to be an important cultural centre of the country. Various arts and culture events as well as traditional celebrations have given the city this reputation. 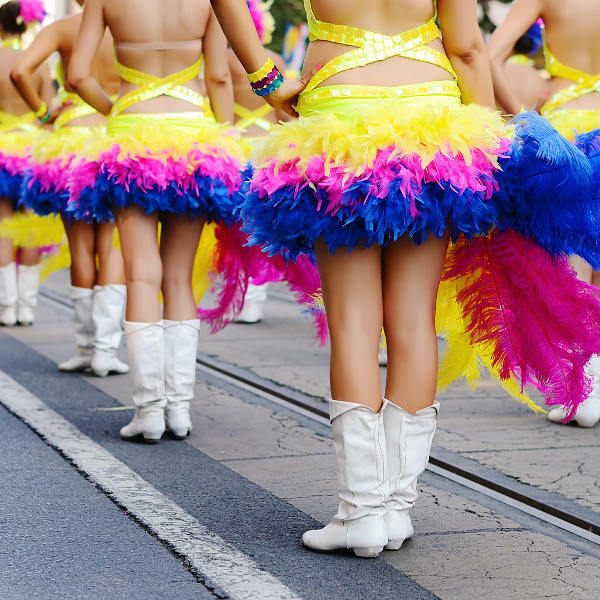 Immerse yourself in Hungarian culture by joining traditional and folklore events like the St. Martin’s Day Goose Feast in November or the Flower Carnival and Parade in August. After a day of exploring other artistic attractions in the city, such as the Déri Museum and the MODEM centre for Modern and Contemporary Arts, be sure to get a taste of traditional Hungarian cuisine. The main square in the city, Kossuth Square, is home to many picturesque and trendy restaurants where you can unwind with a drink or indulge in the flavours of Debrecen. Compare several airlines, and book your cheap flights to Debrecen online at Travelstart! Ensure that you are up-to-date on routine vaccinations which include the MMR vaccine, Diphtheria Tetanus and Pertussis vaccine, Chickenpox and Polio vaccines as well as your yearly flu shot. Most travellers are encouraged to get a Hepatitis A vaccine before travelling to Hungary. You are also encouraged to practise and maintain normal safety procedures such as keeping an eye out for petty crime and ensuring all your documentation and valuables are kept safe.